Our Company provides a hold cleaning service before & after any type of cargoes such as Grain, Coal, Steel Scrap, Cement and many others. Each our employee certified to carry out safe works at heights & steeplejack works with using a special safety equipment performed at the height of 5 meters and higher. Each our employee has appropriate certification for the hazardous works execution. Also each one has full insurance which cowers any type of possible issues. Anyway our certified equipment makes such a risks minimal. Up to 24 hours employee mobilization! We practice an individual approach to each client and use modern information technology. Our clients are able to choose the place of embarkation and disembarkation. For these purposes, each member of our team has a full packet of seaman’s document including seaman book, certificates of proficiency, medical report, biometric passport, an insurance policy. Fortuna International LTD is a team of highly qualified specialists with 8+ years experience and traditions. Why hold preparation services are important? As preparation for loading is a complex procedure with a lot of peculiarities, it’s inappropriate to pass it without a special attention and professional approach. Every experienced shipowner knows that his vessels get money only when navigating in the sea and transporting loads. So, no one wants that something spoils the cargo. Especially if the fault is just a poor management oversight. To avoid this we recommend using the services of hold cleaning. Have been working for years in the market of professional management Fortuna International knows the importance of time in the shipping business. So, we minimize the time of cargo hold cleaning and make the washing process as efficient and fast as it’s possible. We care about our customers. With a team of skilled and experienced specialists, you get your vessel decontaminated and ready for the next loading promptly. No stoppage and excuses we do all on time. Moreover, the methods we use are up-to-date and follow all the requirements and are environmentally benign. Our masters will perform cleaning of cargo hold carefully to the surroundings. We support our team and get all needed information according to working progress during ship’s voyage from port of embarkation to port of disembarkation. 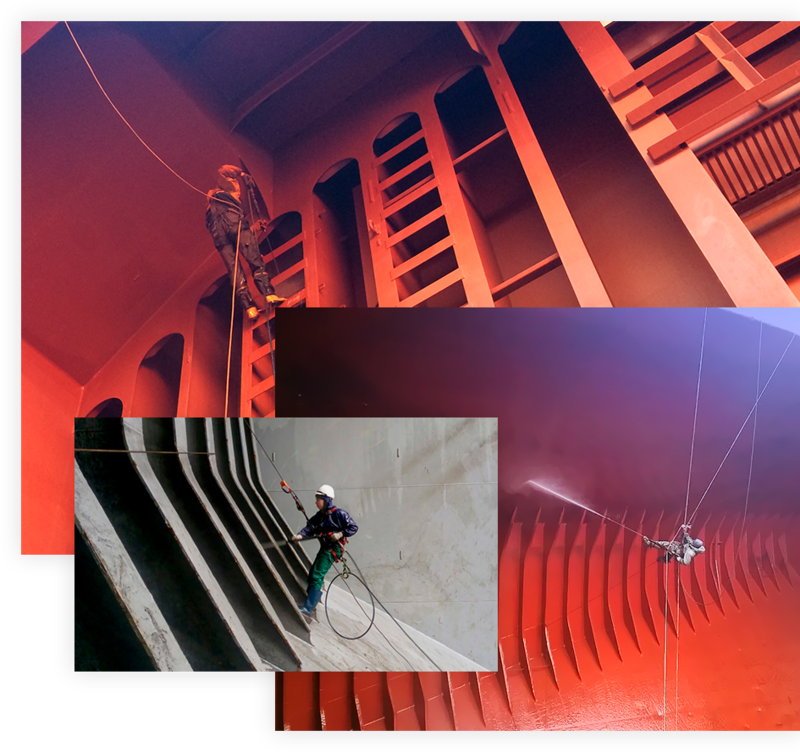 Our staff provides the highest quality cargo holds cleaning service for you even in the shortest reasonable deadlines and due to the highest worldwide and local standards of a quality and safety. We deliver our equipment to Turkey, Las Palmas, Hamburg, Bulgaria and Holland. We also provide a rental service and the purchase of cleaning equipment. Price by request. Our staff do all necessary works while your ship sails to any other location. That means huge benefits for you. No longer needed to pay for demurrages and port fees. No more wasted time for your maximal profits. We practice an individual approach to each client and use modern information technology. You may choose the place of embarkation and disembarkation. For these purposes, each member of our team has a full packet of seaman’s document: seaman book, certificates of proficiency, medical report, biometric passport, an insurance policy. Our team works hardly to meet your tight deadlines and all your quality expectations. Best materials, equipment and highly qualified & experienced staff makes your dreams come true. We work hardly for your profit. Moreover Our steeplejacks travel with their own necessary equipment for works on top areas. We are doing all necessary preparations before and/or after any type of a cargo. We meet all ecology standards for any new cargo such as Grain etc. Also, we are using the most modern technologies and certified chemicals from world-famous manufacturers such as UNITOR, MARICHEM etc. Fortuna International LTD is the best Hold Cleaning & Preparation service all over the world! Fortuna International LTD is not just the provider of cargo cleaning services but the family of the best highly qualified specialists. Our highly professional and friendly managers will answer your request within the shortest term. As soon as we get a nomination to the job we mobilize staff within up to 24 hours, search for the optimal rout to your location and prepare all necessary equipment. With us, you may be sure you get the best service in any location all over the world. 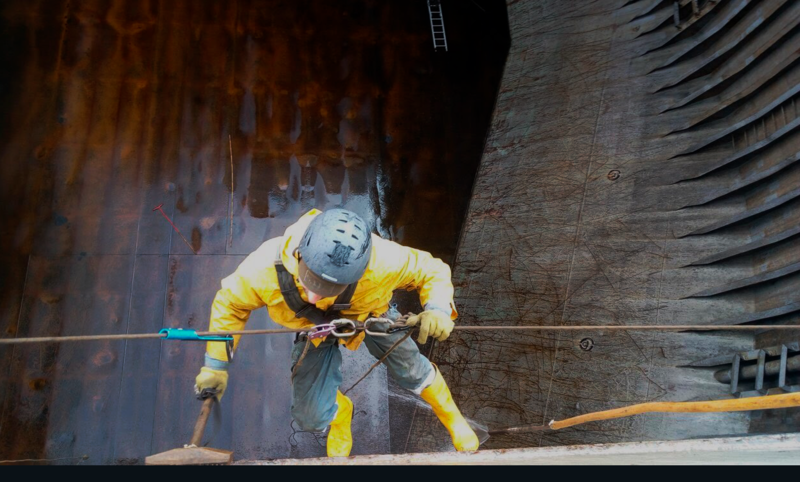 The company has only highly qualified and certified employees with experience and knowledge to execute all kinds of cargo hold washing of any type of vessels. We provide the best practices of hold cleaning services to meet all expectations of our clients. With the shortest terms, we guarantee the complex washing of the ship on the 5 meters height or even above the water. Our experts will choose the most appropriate techniques according to the situation and conditions. We possess such methods as blowing with compressed air, washing, for the hardest cases we use hydro-blasting or scraping with mechanically de-scaling. The company offers the top solutions of hold cleaning vessel and utilizes only effective measures aimed at comprehensive preparation of the ship for the next loading. You will find the detailed description here on our website. We are glad that you trust us! Short Portfolio of our great Jobs for our Valuable Customers. Daily reporting included! Our transit team consist of one foreman and several steeplejacks. The total quantity of team members depends on the hardness of required works. To prevent impurity of the next cargo all current cargo leavings should be cleaned up carefully. It is much necessary to avoid hazards based on cargo spillage on deck or holds. This service is necessary when you have hard-to-remove pollution of your holds. This service is necessary when you have hard-to-remove pollution of your holds which can not be removed with Chemicals. Fortuna International LTD © 2018. Opalchenska Str., 76, ft. 5, ap. 9.